This article first appeared on WTR Daily, part of World Trademark Review, in (July/2015). For further information, please go to www.worldtrademarkreview.com. In Gambling Commission v Office for Harmonisation in the Internal Market (OHIM) (Case T-404/10 RENV, June 30 2015), the General Court (Fourth Chamber) has annulled a decision of the First Board of Appeal of OHIM dated June 9 2010 (Case R 1028/2009-1) in invalidity proceedings between Mediatek Italia Srl and Giuseppe De Gregorio on the one hand, and the National Lottery Commission (now the Gambling Commission) on the other. By decision of July 16 2009, the Cancellation Division of OHIM, considering that the applicants for a declaration of invalidity had demonstrated the existence of copyright protected by Italian legislation, granted the application for a declaration that the contested mark was invalid. 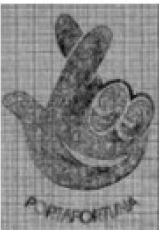 The National Lottery Commission filed an appeal with OHIM. By decision of June 9 2010, the First Board of Appeal dismissed the action and confirmed the existence of a copyright protected by Italian law. dating from 1986 transferring ownership of that copyright was authentic. 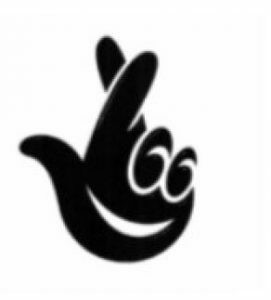 By judgment of September 13 2012, the General Court upheld the action, accepting the first and third pleas put forward by the National Lottery Commission in support of its action. The court found that the board had misinterpreted the applicable national law and had failed to assess accurately the precise scope of its own powers. 3. manifest inconsistency and distortion of the facts which affected the reasoning followed and the conclusion reached by the General Court. On March 27 2014 the ECJ upheld OHIM’s second ground of appeal. In that regard, the ECJ stated that the Italian judgment of June 14 2007 was not mentioned either during the proceedings before OHIM or in the written pleadings before the General Court, but was referred to by the latter of its own motion at the end of the written procedure. Considering that the content of the judgment of June 14 2007 was crucial to the General Court’s line of reasoning, the ECJ stated that the court had infringed the principle that the parties should be heard, stemming from the requirements relating to the right to a fair trial. On April 7 2014 the General Court invited the parties to submit their written observations on the proceedings and, particularly, on the judgment of June 14 2007. 3. incorrect assessment by the Board of Appeal of its powers to determine whether the 1986 agreement was authentic. Essentially, the Gambling Commission claimed that the Board of Appeal had relied solely on its examination of the copy of the 1986 agreement, without taking into account the plausibility of the arguments put forward by the parties. The Gambling Commission also argued that, since the Board of Appeal is empowered to decide on the validity of a Community trademark, it must necessarily be entitled to appraise the authenticity of a document on which a party’s claims are based when that authenticity is disputed. In refusing to undertake such an examination, the Board of Appeal had not accurately assessed the scope of its own powers. Therefore, the Board of Appeal had infringed Article 53(2)(c) of Regulation 207/2009 by concluding that the applicants for a declaration of invalidity had shown that an earlier right existed. The General Court upheld the first and third pleas. On the one hand, it noted that, insofar as the judgment of June 14 2007, interpreting Article 2704 of the Italian Civil Code, states that evidence that the date of a postal stamp is not authentic may be adduced without the need to introduce proceedings challenging it as a forgery, it necessarily implies greater freedom in the taking of that evidence in rebuttal. On the other hand, it stated that, although it is true that the Board of Appeal had responded to the applicant’s argument based on the existence of certain anomalies in the 1986 agreement, the fact remained that its analysis was based on the false premiss that the 1986 agreement constituted “conclusive evidence of the provenance of the statements of the parties to it, pending the introduction of proceedings challenging it as a fraud” (Paragraph 30 of the board’s decision) and that its assessment could relate only to the content of that agreement. Therefore, it could not be excluded that the Board of Appeal would have reached a different conclusion if it had favoured a broader interpretation of its powers. In view of the foregoing, the General Court held that the Board of Appeal, in finding that the applicants for a declaration of invalidity had shown the existence of an earlier right, had based its approach on a misinterpretation of the national law governing its protection, and that that error may have had an effect on the content of the contested decision. Consequently, the General Court concluded that the board’s decision must be annulled.